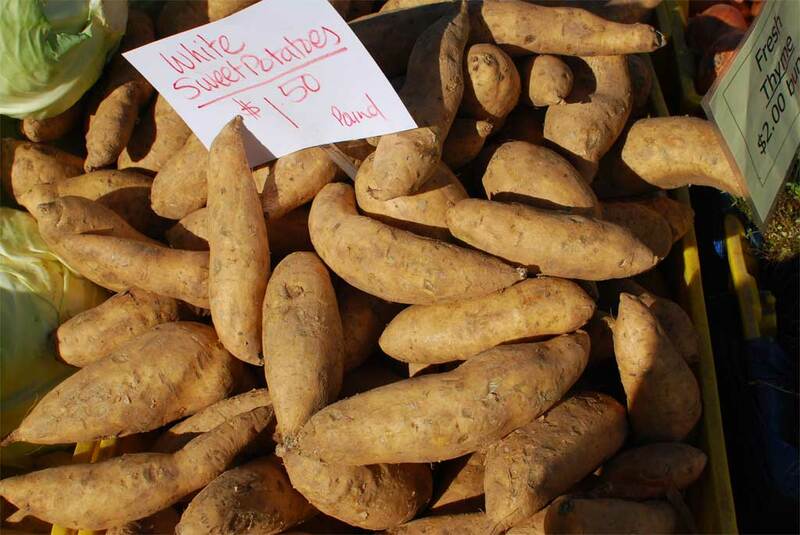 Maybe it’s the difference between what you see and what you taste, but white sweet potatoes seem sweeter to me than the traditional variety. They also seem to keep their shape and texture better, more like a traditional potato, but with more flavor. I’ve used it in a salad, and in a curry, but I think next I’m going to try to make french fries.